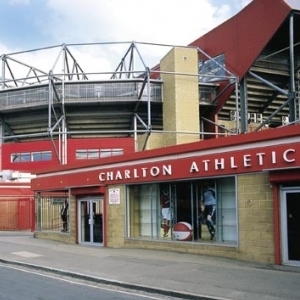 The ICT for Education national conference programme reaches London on 04 November 2016 at Charlton Athletic FC, The Valley, Floyd Road, London SE7 8BL..
Meet the experts, network with peers, solve practical problems and discover new resources in just one short day - free of charge! Pick up your conference badge(s) from Reception on the day. If you would like to bring colleagues, they can register before the event or on arrival. We look forward to meeting you in London. The new computing programme of study isn’t actually so new anymore, we're two years in, so where is primary computing heading now? Claire will take a look at how the teaching and learning of computing – programming in particular – has developed in her classroom over the past two years by sharing examples and strategies that have been successful, and consider where it might go next. Join the debate and discuss topical issues including the curriculum, budgets, CPD and more! Claire Lotriet is assistant headteacher at Henwick Primary School in Greenwich, where she is responsible for teaching and learning, assessment, Computing and enterprise. She is the author of the Switched on ‘Computing Learn to Code’ book series and Switched on ‘Computing: take your first easy steps with Microsoft’, both published by Rising Stars. Claire is also the current ed tech columnist for TES. She won the NAACE Primary and Early Years Impact Award in 2015. The easiest way to get to The Valley by car is to use the A2, accessed from junction two of the M25 (those heading south via the M1, A1 or M11 should head clockwise on the M25, signposted 'Dartford Crossing'). Heading into London along the A2, the dual carriageway becomes the A102M - the approach road to the Blackwall Tunnel. Leave at the junction after the A2 exit and take the right-hand exit at the roundabout - the A206 Woolwich Road. After the major set of traffic lights at Anchor and Hope Lane and Charlton Church Lane, travel around second roundabout and take the last exit to drive back on yourself. Then take the first left into Charlton Lane. Cross the railway line and continue up the road, then right into Harvey Gardens. The stadium is on the left. Access to Floyd Road and Harvey Gardens is restricted on matchdays. Follow the A205 South Circular Road to Woolwich and turn left into the Woolwich Road at the roundabout for the free ferry. You should then turn left into Charlton Lane and proceed as described above. From north of The Thames, take the A102 through the Blackwall Tunnel. Come off at the second junction and take the first exit at the roundabout. Go along the A206 Woolwich Road as above. Southeastern runs train services to the railway station at Charlton, from central London in the west and north Kent to the east. The station is a short walk from the ground. Frequent services depart from Charing Cross, Waterloo East and London Bridge, with limited departures Cannon Street. Some services come through Dartford continue to Charlton, while connections for others can be made at Blackheath, Lewisham and London Bridge. A previous limited service from Victoria no longer operates and fans heading to The Valley from Victoria need to change at either Lewisham or Blackheath. The Docklands Light Railway from East London connects with rail services from Greenwich and Lewisham to Charlton, while the Jubilee Line underground station at North Greenwich is a short bus ride from The Valley. Numerous bus routes serve the ground. They include the 53 (Plumstead, Woolwich, Blackheath, New Cross, central London), the 54 (Lewisham, Catford, Beckenham, Elmers End) and the 161 (Chislehurst, Mottingham, Eltham, Woolwich, North Greenwich). Others are the 177 (Thamesmead, Plumstead, Woolwich, Greenwich, New Cross, Peckham), the 180 (Thamesmead, Plumstead, Woolwich, Greenwich, Lewisham), the 422 (Bexleyheath, Welling, Plumstead, Blackheath, North Greenwich), the 472 (Thamesmead, Plumstead, Woolwich, North Greenwich), and the 486 (Bexleyheath, Welling, Shooters Hill and North Greenwich). These services discharge passengers on the A206 Woolwich Road, or in Charlton Village, both a five-minute walk from the ground. Free parking is available at the ground.